ThinkGeek seems to know just what a geek wants to see in a Star Wars product. 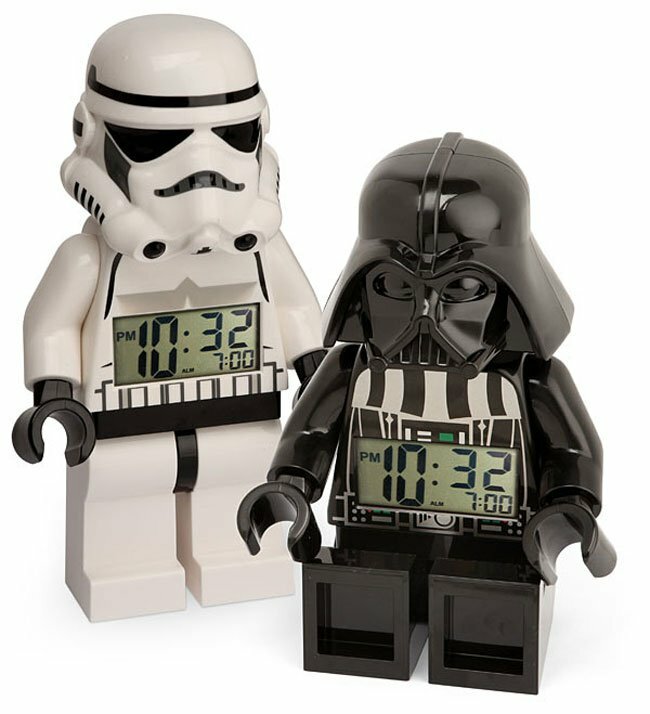 If you are a fan of Star Wars and Lego ThinkGeek has the perfect alarm clock for you. The clock comes in two styles that look like Lego minifigures. Minifigs are those little boxy figures that come with Lego kits. The Lego Minifig Alarm clock comes in Darth Vader or Storm Trooper styles. Both have an alarm clock in the chest to let you know what time it is. The clocks have movable arms and legs and are just freakin’ awesome. Each of them is 8-inches tall and can sit or stand on your desk or table. I wish the Vader clock would play the Imperial March or breath deep to wake you up rather than just beeping. You can get either style right now for $29.99.